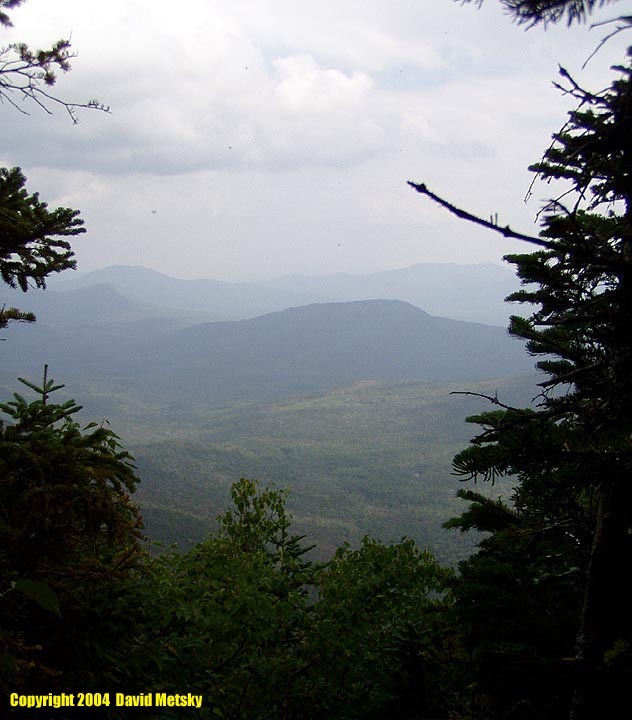 Both the South and North summits are wooded, but there are some nice views from lookout on North Peak and a more marginal one on South Peak. 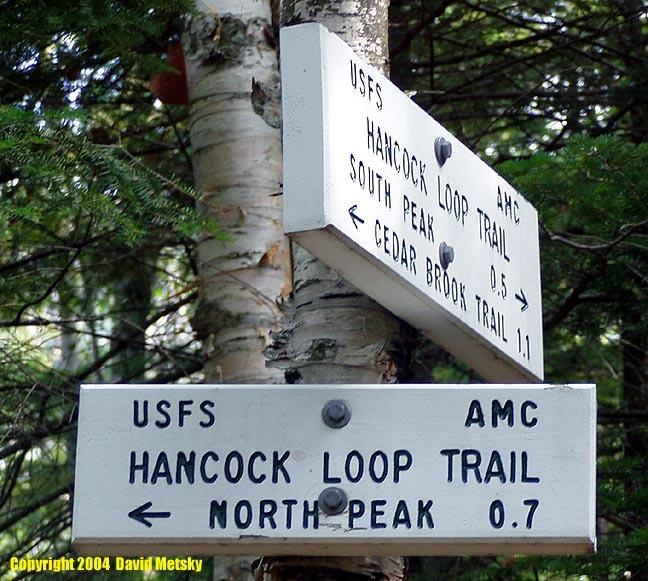 The main route to the Hancocks starts at the hairpin turn off the Kancamagus Highway (Rt 112). 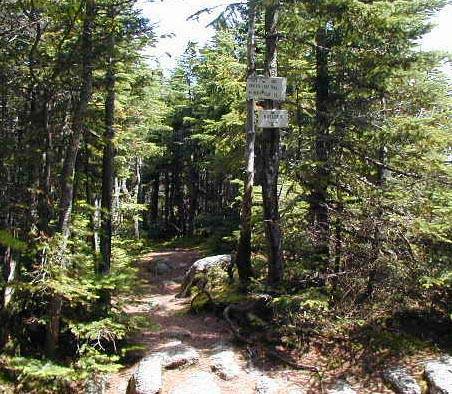 Take the Hancock Notch trail to the Cedar Brook trail. 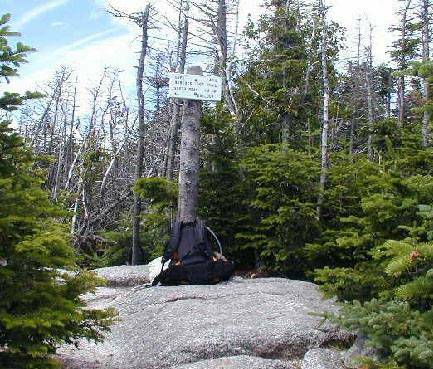 Start up the Hancock Loop trail and then you have the choice of going clockwise or counterclockwise, both are steep but both are nice loops. The trip is 8.7 miles total. 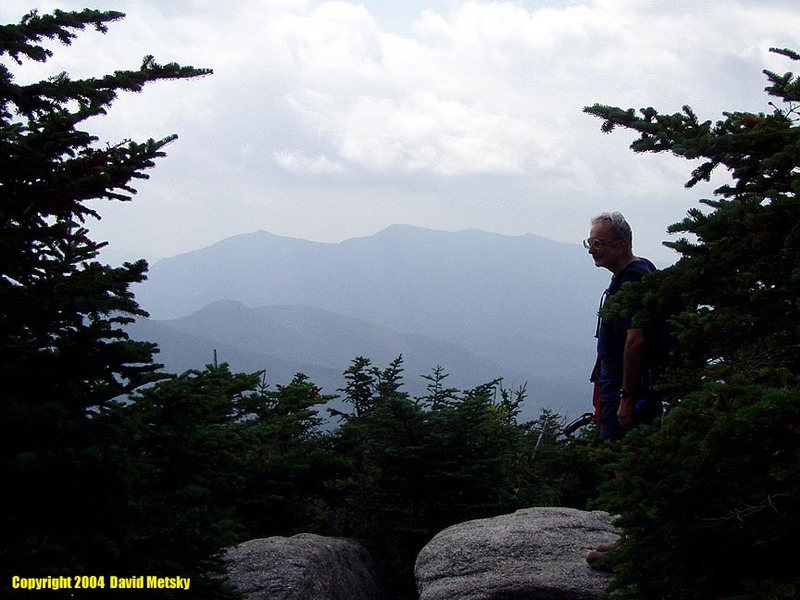 The views from North Peak are better than the limited view from South Peak. There are several river crossings on the Cedar Brook trail that may be difficult in high water. 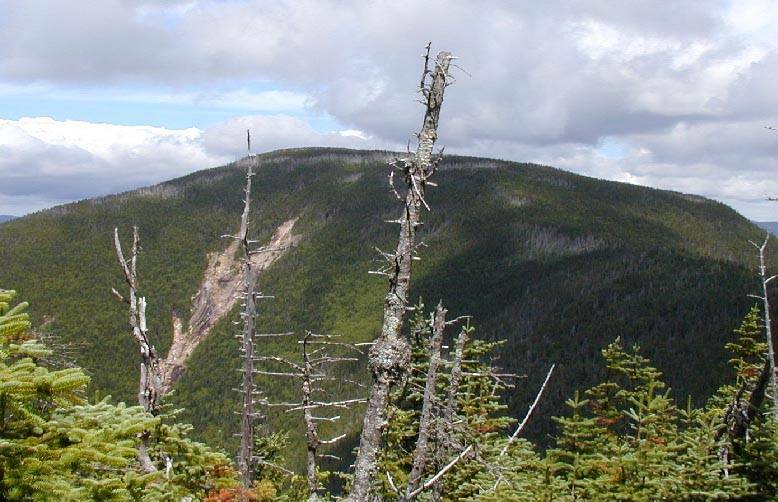 There is a ridge connecting the Hancocks to Carrigain that has no trail but is sometimes used for a difficult bushwack. 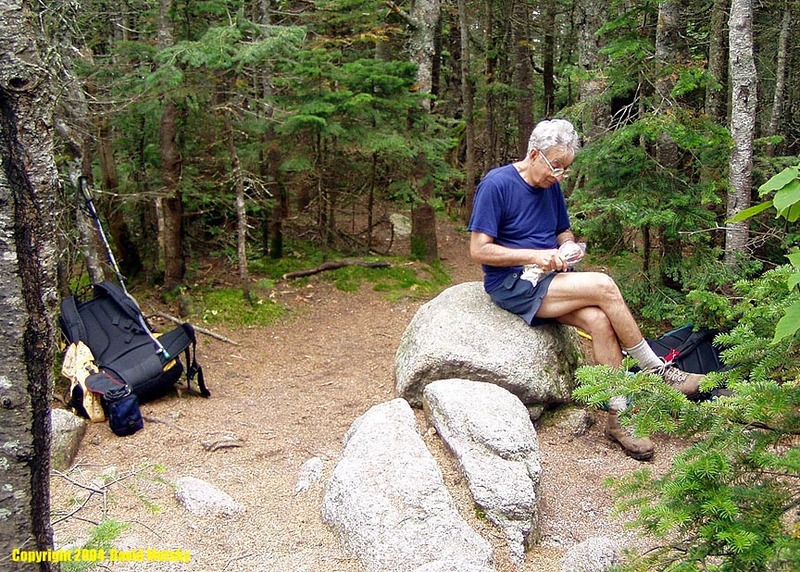 The Hancock Loop trail wasn't cut until 1966. 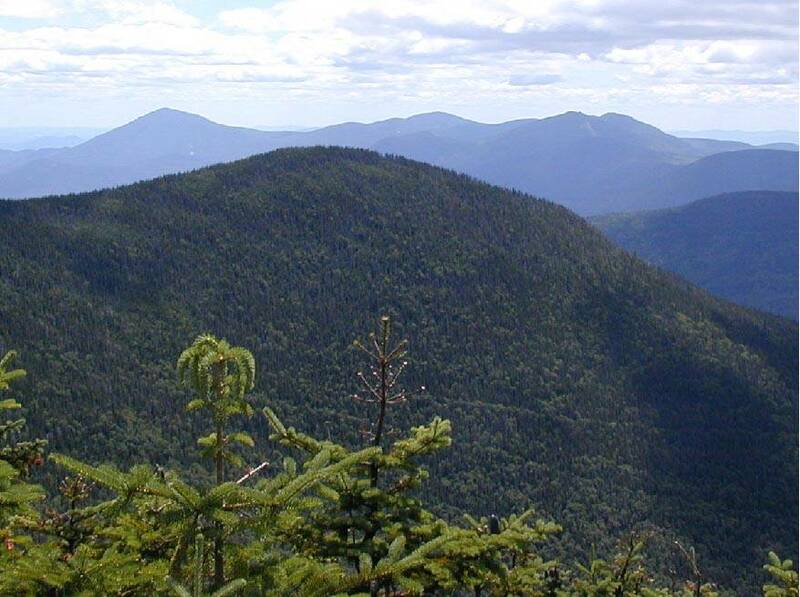 The mountain was named after one of the founding fathers of the US, John Hancock. 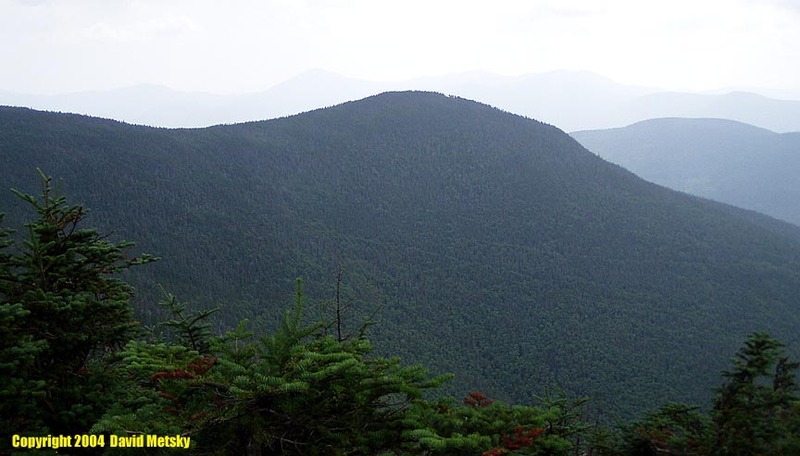 Hancock Overlook - The parking lot is just past the major hairpin curve on the Kanc (NH Rt 112) 4.7 miles east of Lincoln Woods. 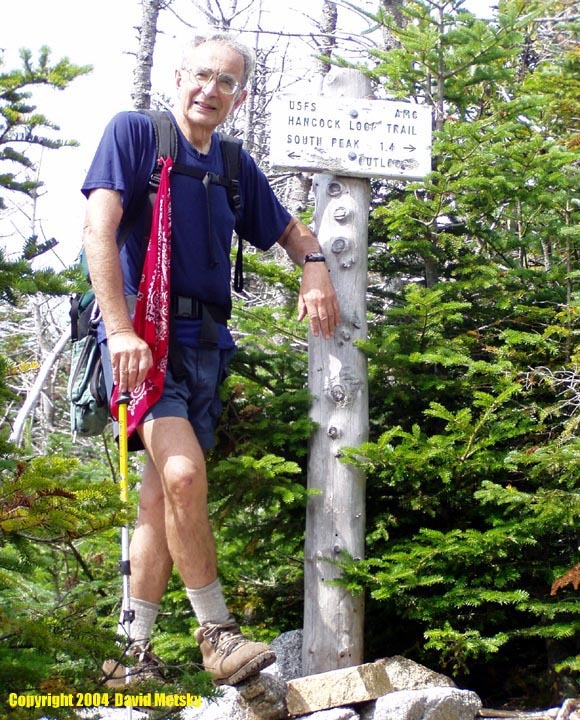 The trail starts at the downhill end of the lot. A WMNF Parking Pass is required.